Well as promised here are some updates from past ramblings. I mentioned awhile back that I was looking for a handgun for predator protection during my upcoming bow elk hunt. Well I was fortunate enough to meet up with a friend who knows way more about guns of all kinds than I will ever know in my lifetime. So I was in good hands when we went shooting. After some general discussion about calibers, gun weights, loads etc. and just how much power you need for predator protection, we commenced to start firing. We started with 38 cal. revolvers and worked our way up to the 44 Magnum. Several well known companies were represented and after the smoke settled I was partial to the Taurus model 425T. A 41 Mag in titanium which holds 5 rounds, is factory ported and a barrel lenght of4 in. The recoil was not an issue for me, yet weight is. This model in stainless steel weights 34.8 oz. and the titanium at 24.3 oz. Considering I will be carrying this on my day pack belt, I wanted the lighter model. Now the only catch is that Taurus discontinued making them a few years back so I'm keeping my eyes peeled for a used one online at the various gun brokers. If you here of anyone interested in selling this particular gun, I'd be happy if you pointed them my direction. Moving right along now. My friend Dan and I did make it to the Klamath Basin weekend before last for some general cleaning and deer scouting. Success on both fronts. We managed to do such a good job last year that there was little left for this year. We did do some Knapweed eradication and a few minor odds and ends with the cabin. Not to mention a bunch of European Starlings jamming up the damper on the wood stove pipe. In fact it was so bad we had to take the pipe apart and then go dump them out. It was a case of dumb following dumber and even dumber down the pipe. No nest was even built. They just packed themselves on top on one another and then couldn't get out. No wonder there is a year round open season on Starlings. A couple of the fields were flooded and the Canada Geese and hundreds of puddle ducks were having a great time resting there overnight and then departing at daybreak to the neighboring grain fields for the day. There were also White Faced Ibis enjoying the water as well as several pairs of Sandhill Cranes. What a treat. We did have a couple really fine meals too. I took my 50Th. birthday limit of Snipe and we bbq'ed them one night and the next evening we bbq'ed wetlands buck backstrap. Wow, what a great way to bring in the upcoming hunting season. It wasn't til the next morning that we saw the bucks, oh yes the boys are BACK! That sure makes me happy considering I've got a deer tag for that unit. Just hope they stick around. I am pretty sure that the big 4 x 4 is the same one I saw last year. This year he has another young buck hanging by his side. We had taken our shotguns with the intentions of throwing a few clays but, after seeing the bucks we opted not to disturb them. I am hoping to get back there sometime in mid September just to take another look. The rifle deer season opens October 3. Now the really exciting news is that our bow elk season is opening this Saturday morning. Can you say anticipation? Oh my how the natives are getting restless. The area I am hunting is the same that I have rifle hunted for the pat three years. Figured maybe if I change up the weapon and time of year that my luck will change too. So far my practicing has gone well and continues to. This will be my first time archery hunting elk during the rut and I am so excited. Hopefully things will get cooking in the mid to latter portion of September. I remain cautiously optimistic in my somewhat blissful ignorance. Realizing full well that there is so much to learn. A lifetimes worth and then some I imagine. Gotta start somewhere, so here I go. I'll keep you updated as the elk season progresses and I want to wish the rest of you good luck with your hunts too. Also a special shout out to Rick at Whitetail Woods for his 1 year anniversary and wonderful prizes, thank you in advance. Thanks also goes to Gary at Base Camp Legends for his help and support for the upcoming elk hunt. Thanks to Kristine at Outdoor Bloggers Summit for this wonderful challenge. The word Cancer is a scary word. I pray I will not hear a doctor telling me, that the diagnosis is cancer. I have seen first hand, the ravages of cancer take my fathers life. He fought Lymphoma for years with courage and dignity. I was barely a teenager when our mom told us about it. There wasn't any discussion about any of it. This was back in the early 70's and both my parents were in their 50's and of a generation that kept private matters private. In retrospect I'm sure they wanted to protect us kids from the details. None the less we saw the toll it was taking on him, in all ways. For my brother and I it was horrible not being able to offer comfort or aid to our dad. It affects the entire family, how can it not? We did our best to find the positive things in our lives. Enjoying special times together and trying not to look past tomorrow, not knowing if it would find us still together or not. My dad was a quiet man with infinite courage and amazing inner strenght. The times we spent together are deeply cherished and I miss him everyday, even after 30 plus years. Since his passing a few of my friends have been diagnosed with breast cancer.Fortunately they continue to lead active lives and their courage is amazing. The ability to fight and not give up is indeed inspiring. I have given a yearly donation on my dad's behalf to the American Cancer Society since his passing. In recent years I have been involved in cycling events supporting the Lance Armstrong Foundation. My local bike shop is Sunnyside Sports. One of the owners Gary Bonacker was diagnosed with a brain tumor in 2003. Soon after in 2005 he started the Tour des Chutes bike ride in conjunction with the LAF. He continues to fight as well as offering support and help to others with the disease. He is quick with a smile and just a delight to be with. So for me it is not hard to find inspiration. There are many people who are fighting the fight of their lives and I will continue to make my annual donation and ride in cycling events promoting cancer research. I find great inspiration from watching Lance Armstrong too. He is an incredible athlete period. He has mobilized an entire nation and even the world. This is a horribly terrible disease and we all need to do our part to help fight it. Every little bit helps, truly. Do it for those who have passed or are fighting for their next breath. Give something of yourself to those less fortunate and you will make a difference. There are so many wonderful organizations supporting and improving peoples lives. Pick one and get involved in some way. It will change your life forever. As a member of the OBS we are getting stronger every week and together we can, and do make a difference. Let's make a waves from a single ripple. Go ahead and start now. I have a great life and nothing to complain about, absolutely nothing. I ride my bike because I am able to. I know someday will come when age and or health interjects, but til then I will ride, hunt and be an advocate for those who are less fortunate. Headed to the Klamath Basin today to do a little prep work before all the hunting seasons begin. My friend Dan and I are looking forward to a little marsh time. I haven't been back to Lowlands since my run in with that Beaver hole late Jan. that put an early end to late season goose hunting. 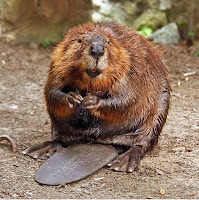 I am pert near 100 % and will have my eyes peeled for Mr.Beaver. We aren't done yet! Otherwise Dan and I will be clearing Knapweed from the hill area where the cabin is, replace outdoor lighting, some general cleaning and garbage removal. Lest I not forget that we are taking our shotguns and some clay targets to intersperse amongst the work detail. Dan is an amazing shot and just a lot of fun to be with. We are looking forward to see what the waterfowl numbers are and with some luck perhaps even see Sandhill Cranes. The recon is all about Deer, specifically bucks. Last year I shot a beautiful 4 year old tall forked horn. He was running with a 4 x 5 who obviously was the wiser and knew just where to position himself relative to the forked horn. So I am hoping that the big fellow made it through last years hunting seasons, winter and is back on our property enjoying the good life. We will soon find out. The weather here in central Oregon has begun to have a sense of Fall to it. Temperatures have dropped and there has been a nip in the air. This change will be short lived however as by next week we'll be back in the low 90's. With Dove season just around the corner (Sept.1) we usually have a couple days of rain just prior to the opening, at which time a large majority of the Doves head south. Leaving us with a fraction of the summer's population. Then Indian summer begins and so will freezing overnight temperatures. 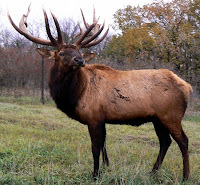 I am hoping for at least that to help spur the Elk into rutting for my Sept. bow hunt. I continue to practice shooting my bow and am still happy with my set up. All my pins have been readjusted for my broadheads and all systems are go. Will let you know what we see at Lowlands from this weekends reconnaissance. Til then, keep practicing and shoot straight. Have a great weekend everybody. Here are the recent changes to Oregon's bird hunting regulations. Extended seasons for Pheasant and Grouse. As well as a more liberal waterfowl limit for both ducks and geese. Don't forget to put in your application for Sage Grouse, deadline is Aug. 31st. Click link below for more details.